2649 Southbury Cir #2649, Vestavia Hills, AL.| MLS# 839218 | Richard Jacks UABLIVING.com 205-910-2297 | Birmingham AL Real Estate | Contact us to request more information about our Homes for Sale in the Birmingham AL area. Fantastic opportunity to live in a 3 bedroom, 2 bath condo in Vestavia at a great price! Quiet neighborhood and close to the interstate. Everything has been freshly painted, including the kitchen cabinets. Stainless appliances and new double paned windows, plus a clean air package for the HVAC. HOA covers water, trash, pest control, exterior maintenance, landscaping, etc. 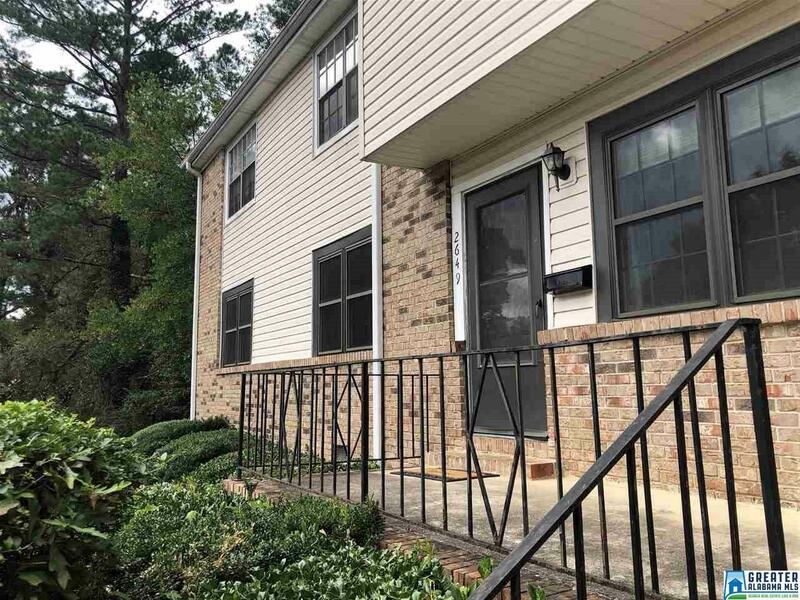 This condo is perfect for families looking to get into the Vestavia school system. Driving Directions: I-65n, Take Hwy 31 Exit. Go Straight Across Hwy 31 & Take A Right On Massey Dr. Take A Left At The Southbury Condo Entrance. Go Straight & Take A Slight Left At The End Of The Road. Unit Is The Last Unit On The Right, Before You Make The Next Left Turn In The Community.